Leaders of Tomorrow Youth Center Inc. and Impacting Tomorrow Health Center Co. present the annual L.O.V.E. Drive! We will be accepting donations of new coats, warm winter clothing, canned goods, and household items between November 1 – December 15. For larger and/or monetary donations, please email info@ltyc.net. Help us make a difference & impact the community! 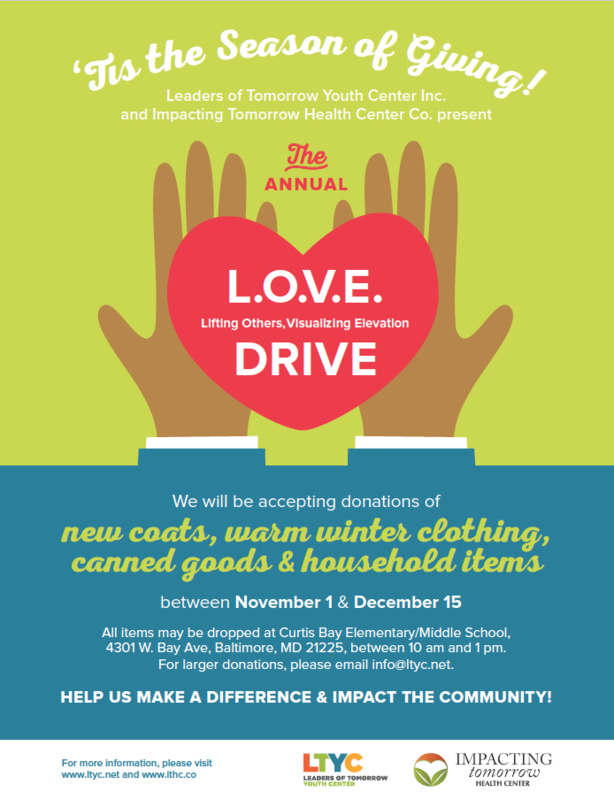 Click the image below to download the L.O.V.E Drive flyer.